I had the utmost pleasure of talking with the incredible Jordi Mand, playwright of CAUGHT, which opened this week at Theatre Passe Muraille in their Backspace. We spoke about creating your own work, the inner struggles you face when graduating university, and the differences between doing the job and getting the job. Brittany Kay: Tell me a little bit about your new play? Jordi Mand: Caught takes place in the security holding room of a major department store in Toronto. It focuses on a female security guard and a teenage guy who she has caught shoplifting and how the situation unfolds between them. A police officer arrives to process him and the tables are sort of turned on this security guard. She thinks she has caught this shoplifter but everything starts to go awry for her. That’s focusing more on the events of the actual play, but the piece, itself, has changed a lot over time. To me, it’s really about justice and interpersonal justice – justice between people and their steep inner personal justices that they feel. I’ve spent a lot of time thinking about how some people in this world for lesser reasons seem to be able to get away with things and other people can’t. How does that come to be? What are the ingredients of our lives that bring us to that place? What is our moral code that allows us to actually break the rules or make the rules? That was a really big launching point for the show. Photo of Jakob Ehman, Meegwun Fairbrother, Sabryn Rock by Michael Cooper. BK: There was a lot of development that went into this play. How did it come to be? JM: It’s actually had a bit of a long life. So in 2009/2010 I was part of Nightwood Theatre’s Write from the Hip Unit, which is their emerging writer’s unit for emerging female playwrights. Write from the Hip has changed considerably in terms of its format, but at that time the objective was to write a 15-minute piece and so I wrote the first 15 minutes of Caught. Andy McKim at Theatre Passe Muraille asked me if I wanted to present something or hear something read at their Buzz festival. I hadn’t touched the piece in about a year and then decided I wanted to hear it again. I had been a resident artist at TPM for a number of years and both Andy and I knew we wanted to work on a project together. We were circling around different ideas and at the same time we both came back to that piece and the themes of justice and injustice, entitlement and consequences that are found in the play. We both agreed that there was a longer life for this piece than just a few minutes and started exploring it. I had been working with Andy dramaturgically and further developing it. There was a workshop of a earlier full draft in September and now we’re sharing it with the city. JM: When I graduated theatre school, I had been working for Obsidian Theatre in an administrative capacity. I was their Director of Development and Obsidian had done a co-production with Roseneath Theatre and TPM and it was just as Andy was moving into the theatre as Artistic Director. I first got to know him then and the philosophy of TPM, which I just sort of fell in love with. I just found their attitude towards storytelling and their artists and emerging artists really real and wonderful. They had put a call out around that time for Elephants in the Room, which was their emerging artist program, and they were looking for people to help launch that. So I approached them and said it was something I was really interested in doing. I became one of the four co-founders of Elephants in the Room. We also started Crapshoot, which still happens and so I’ve had a long relationship with TPM. I think a lot of artists, especially in this season who are sharing stories and are part of TPM, have similar connections with the TPM. The company has been an integral part of their journeys as they have been moving forward in this crazy theatre world. Then I became a resident artist with TPM and Andy and I really wanted to tell a story together and I wanted to tell a story with that company and Caught just seemed like the right fit. BK: What a lovely journey. JM: Yeah! Sort of a natural evolution over many, many years. BK: Why the title Caught? JM: The action is certainly a big part of it. I love how it has to do with how we find ourselves caught, either by our own doing, people catching us, us being caught by our own habits and our own hang-ups that we can’t get past, us being caught within society’s rules and regulations of what we can and cannot do – how that sometimes can work in our favor and sometimes it can work against us. We’ve really been spending a lot of time in rehearsals talking about how we can get these characters caught as much as possible. It’s also part of the ride for the audience and part of the fun of it – how can we get into as much trouble as possible? Photo of Sabryn Rock, Jakob Ehman and Meegwun Fairbrother by Michael Cooper. BK: Tell me about your team? JM: I’ve known Sabryn Rock (who plays Trisha) for a decade now. We went to the National Theatre School together. She’s amazing. I’m really spoiled, it’s a really incredible team. Jacob Ehman is playing our kid, James. JM: I am really thrilled for him that he is getting the attention that I think he really deserves. He’s such a talented actor and he gives so much. I love watching him work on this piece because James is a confusing character, Jakob is such a spontaneous actor. It’s wonderful watching him process the play, moment by moment. I know what the character is going to do next but I don’t know what Jakob is going to do next. It’s really an actor’s play. The joy and pleasure of this world is really the moment-by-moment, tiny details that each character either brings to the other and the journey that the actors take their characters on. An actor named Meegwun Fairbrother plays our police officer and he’s a real presence in the room. As soon as the character walks in, everything changes. I feel that way with who Meegwun is as a person as well, so that’s just really amazing that those two line up. Sarah Garton Stanley who is the Associate Artistic Director of English Theatre at Canada’s National Arts Centre is our director. She is so focused in her storytelling. Each moment is so fresh and calculated. She has a really great brain and heart for this world. Our design team is fabulous. It feels like the right ingredients in the room for our world. BK: Tell me about the design concept? JM: It’s one room, one location, almost like a holding deck. There’s only a table and chairs. It’s very neutral. It has very little personality and it’s almost as if there’s the forth wall and part of it has just been cut out so you can see through it. Not like a two-way mirror… someone has just taken a knife and removed a chunk of it. So the audience will feel like a fly on the wall, like they shouldn’t be there or they’re intruding. It should feel a little bit like a scene of car accident on the street, where people are driving by and they can’t turn their eyes away from it. Hopefully we can do the same thing for our audiences. Fingers crossed! Photo of Sabryn Rock and Jakob Ehman by Michael Cooper. BK: I’m going to put a hold on the play and ask about you. Tell me a little bit about your journey to where you are now. JM: I’ve been involved in theatre for a long time. I was one of those theatre kids, where babysitters loved me because I would coordinate plays for parents to watch and they would sit upstairs and do nothing. I had been involved in productions as an actor as a kid for a very long time. I grew up in Richmond Hill and I was part of CharActors Theatre Troupe, where they had just auditioned to be one of the choirs in Joseph and the Amazing Technicolor Dreamcoat. They asked me if I wanted to be a part of it and that was a big thing for me as it was my first professional show. I missed school for a year. It really changed a lot for me. There was never a moment where I said, “I don’t want to do this.” At that point I thought I still wanted to act and so I went to Unionville High School, which is a performing arts school. Then I went to York for their theatre program for a year. I’m not a particularly impulsive person, but there are these few markers in my life where I’m like, “I’m going to make this decision!” and I have no basis for it or even an understanding if it’s going to work out. York is great because it’s a generalized theatre program where in your second year you specialize. This might have just been the really bad student in me because school and I have had a bit of a complicated relationship, but I just remember hearing this voice being like “you need to be in a more of a conservatory program”. Someone I went to high school with who I considered to be the best actor was at the National Theatre School and I just remember saying, “I have to go there.” I started looking at all of the artists that really inspired me and a lot of them had graduated from NTS. BK: So you left York before specializing? JM: Yes. I auditioned for the acting program at NTS and got in. I went there really thinking I was going to focus on classical theatre, with my ultimate intention of acting at Stratford or Shaw. I was very focused on that being my trajectory. What I didn’t anticipate was that when I was there I would find this unexpected joy in creating my own work. The curriculum in our second year was focused more on creating your own work and largely for yourself. I ended up finding that work really enjoyable and craving it more, which was a big surprise for me because I thought I had really defined for myself what I thought I was going to do. I graduated and moved to Toronto and started auditioning. I had applied to SummerWorks the year after I had graduated with this solo show that I had written in school. It was about my family and me. I used my own name. It was a very personal story. I applied and they said that they were interested in my voice but they were not offering me a slot in the festival. They had offered me a spot in the Under-25 Reading Series instead, which provided the opportunity to develop my piece with a mentor, followed by a live reading. They partnered me with Hannah Moscovitch. BK: Wow! What an amazing person to be paired up with. BK: Could you ask for a better mentor? JM: No. It was crazy. That was sort of one of two path-changing moments, I think. Even when I was at school and we were graduating, I was still conflicted about whether I wanted to be an actor. My parents are pretty academic and they are huge supporters and lovers of the arts but they are not artists. I don’t come from an artist family. I really felt that after going to a conservatory, where you don’t get a degree and you don’t get a diploma, the idea of me saying that I don’t know if I want to act anymore, felt like such a slap in the face for them and that I was letting myself down. It sounds so silly saying it out loud, but I actually felt so ashamed that I wasn’t sure if I wanted to keep acting. So in meeting Hannah, who had gone to NTS and who had been in the acting program, who had really started very seriously on her trajectory as a writer at that point, was the first person I could actually talk to about writer things. She was the first dramaturge I had in my life. She was the first mentor I ever had. Sometimes when you find the right person at the right time it just makes all the difference. She answered every question that I had. We worked really closely together. There was something about it that, as I was working on that piece, and as I was working with her, something just started to feel right. BK: So that was it for your actor days? JM: I just wasn’t always prepared to do the work as an actor that I should have been. I liked the idea of getting the part but once I got the part I was like, “well I guess I gotta do this now.” Actors have to have such a commitment and dedication to the process. I just don’t think I have that as an actor. Whereas, as a writer, I can see the difference in my process now, in that case. Meeting Hannah and working with her was a huge game-changer for me. BK: So what happened with Summerworks and your play? JM: I ran into Michael Rubenfeld on the street and he said, “Just to let you know, we’re going to hire an actor to read your piece for you.” I was confused because the play was about my family and me. I was writing it for me. I was supposed to be in it. BK: How did that change things for you as a writer? JM: As I started writing, knowing that in mind, I decided to change the character’s name from my name because I thought it was bit silly for somebody else to say it. Then I stared changing other details and this solo show went from being one actor on stage to there be being three actors on stage, with multiple characters. What seemed like such an inconvenience at the time, turned out to be one of the biggest gifts. I was really only writing for as well as I could act as opposed to telling a story fully. If I started writing in territory that really scared me as actor, then I would stop writing it, because it was just for me. Somebody else having to do that work meant that I could go anywhere. It never occurred to me to write for other people. So the combination of working with Hannah, somebody who was really at the rising point of her process as a writer, and this large shift writing for other people made everything click. That was the key moment I unlocked everything. From there, I’ve been writing pretty seriously ever since. Photo of Sabryn Rock, Meegwun Fairbrother and Jakob Ehman by Michael Cooper. JM: My life. There is a lot of me in every world that I touch. People may see it and not know anything about that. I’m really inspired by my family. I’m very inspired by the world that we are living in, this city and beyond. What is it that is defining and challenging and turning our world right now? I’m really worried about the state of our world right now. There’s just chaos in so many areas of our lives. I don’t know where it’s going to go, but in the last 10 years even, things have changed so much. Our connections to each other have changed so much. I find inspiration in how troubling I find that. So that’s a large part of Caught, too. Who are we as people today? Who are we raising? Who is this next generation? Do we have any accountability to each other anymore? Do we mean anything to each other? I have a lot of those questions. I find inspiration in fear, in anger and in not knowing. For me and for a lot of writers these plays sort of become our venues to try to work out a problem or a query. Photo of Meegwun Fairbrother and Jakob Ehman by Michael Cooper. BK: Is there a way you stay motivated to write? What are ways you keep the motivation alive and dedicate yourself to the work? JM: The last two years I’ve found it really helpful to work on multiple projects. That’s the way it’s sort of panned out. If I feel like inspiration is resting a little bit, I find myself cheating on my plays with other plays that I’m working on. It’s not that I’m not working, I’m just working on something else. So that helps. Thinking about an audience, I find, is the thing that always keeps it going for me. Continuing to come back to what’s at the heart of it. What is it that I’m trying to say? What is that I want audiences taking away? Writing is such a solitary process. You spend so much time here in your head. I mean, you have your team which is amazing, but then you’re in a rehearsal hall and it’s still pretty contained. Thinking about the people who are going to be receiving it; who you may never have any contact with, you never know how they are going to experience it and you can only hope that it’s the way that you intend. Thinking about them, that magical audience, is the biggest thing for me. JM: Right now, today, I would really like audiences to walk away and think about how they are treating other people and how they are treating themselves in relation to other people in this crazy world. Favourite Book: Today, I will chose The Unbearable Lightness of Being by Milan Kundera. Favourite place in Toronto: My bed. Last play you saw: The Public Servant. Best advice you’ve ever gotten or words to live by: Do the work. Focus on the work. Advice for emerging artists: Do what works for you. The amount of work you get might mean you might not be able to sustain yourself in any capacity. I’ve talked to a lot of artists recently and they’ve expressed a shame or trepidation about having part-time jobs or full-time jobs to support themselves. They think they have failed or they’re dishonouring their craft in some capacity, but I don’t think there’s one way to make something happen for yourself. I think everyone’s life and reality is different. You have to shape your life in a way that you can do the work and do it with a full heart and not have to feel guilty for making excuses for yourself. Don’t ask yourself, why you’re not doing it like this person or that person. You have do it the way you do it. I wish someone told me that early on. It would have saved me a lot of sleepless nights. It’s so hard. It’s hard for everyone, even the people it doesn’t seem hard for. Look for mentors and make connections. Treat those connections like gold. Find people that help you do what you want to do. A Theatre Passe Muraille Production. On stage now until April 24th. Gab and Chad sit down with one of Canada’s most prominent playwrights, Hannah Moscovitch. 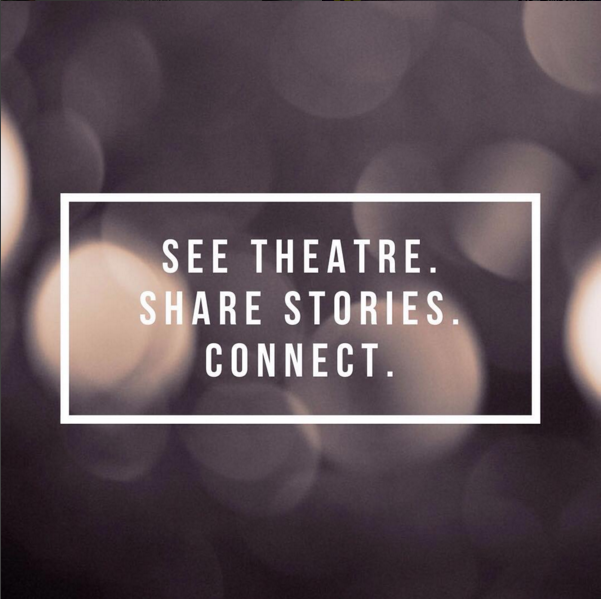 Click here for Hannah’s insights on the Toronto theatre scene. Hannah Moscovitch’s mini festival runs at the Tarragon Theatre from February 14th – March 24th. For more info, go to: http://www.tarragontheatre.com.